This is part two in a three part series of 60 things to see and do in London. You can also check out part 1 and part 3. This large, mostly Gothic, church is one of the most notable religious buildings in the UK and is the traditional place of coronation and burial site for British monarchs. A religious building has stood on this ground since as early as 1080 but the Abbey you see today begun being built in 1245 as ordered by Henry III. It is simply breathtaking both inside and out but it is inside that you will find so much to explore. Make sure you allow a good few hours to visit properly. 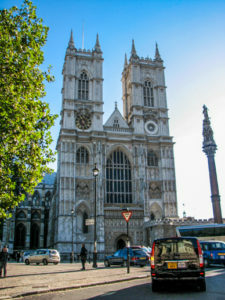 You may recognise Westminster Abbey as the place where Prince William and Princess Catherine were married in April 2011. One of London’s newest attractions, the Emirates Air Line opened in June 2012 just in time for the Olympic Games. 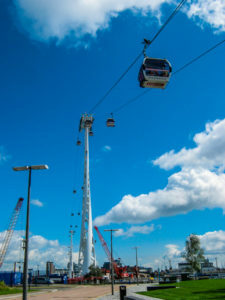 This gondola ride stretches 1km across the Thames from the Greenwich Peninsula to the Royal Docks and offers beautiful views in all directions of London and the river Thames. The Kensington Roof Gardens cover 1.5 acres on top of the former Derry and Toms building on Kensington High St.
Open to the public free of charge (when there are no special functions or private events happening), you can enjoy the three themed gardens (Spanish, Tudor and English Woodland) or have a meal or drink in the restaurant overlooking the gardens. There is also an exclusive members only club on Friday and Saturday nights. 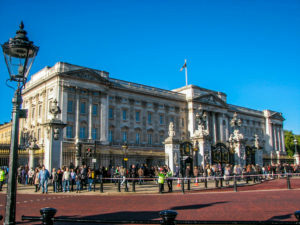 The State Rooms in Buckingham Palace are open to the public each year in August and September when the Queens is taking her summer vacation. With your admission ticket you can wander around 19 grand rooms that are used by The Queen and members of the Royal Family to receive and entertain their guests on State, ceremonial on official occasions. You also get access to the gardens which are lovely. And why do as the British do and enjoy a scone and cup of tea in the pretty Garden Cafe. Due to the limited season, tickets sell out months in advance. 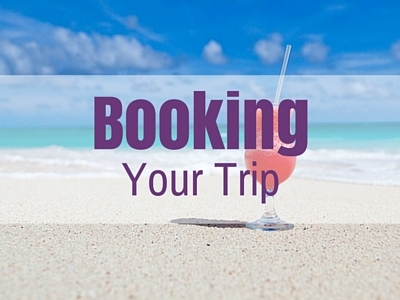 Book here to avoid disappointment. Located in south west Greater London, the Royal Hampton Court Palace hasn’t been a Royal residence since the 18th century. The palace was originally built for Cardinal Thomas Wolsey in 1514 and then later passed onto King Henry VIII in 1529 and enlarged. The beautiful palace interior is outshone by the incredible 750 acres of parkland that include 60 acres of formal gardens, a maze and the Great Vine. 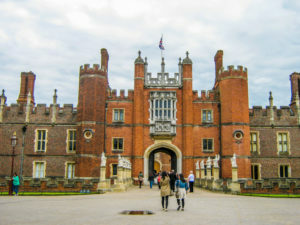 Visiting Hampton Court Palace is well worth the extra effort it takes to get there. One of the many iconic symbols of London, Tower Bridge is a combined drawbridge and suspension bridge crossing the river Thames. 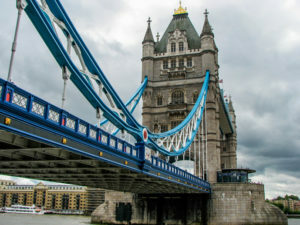 The bridge consists of two towers tied together at the upper level by two horizontal walkways which these days are part of the Tower Bridge Exhibition. Also housed in the bridge’s twin towers and the Victorian engine rooms, the exhibition uses films, photos and interactive displays to explain why and how Tower Bridge was built. Visitors get to also see the original steam engines that once powered the drawbridge. As you can imagine, the views looking down the Thames are also pretty good. The Tower of London was built by William the Conqueror in 1078 and turned into a prison in 1100. Some of its most famous prisoners included King Henry VI, the wives of King Henry VII, Anne Boleyn and Catherine Howard and Sir Thomas More. These days the Tower is a museum rather than prison. A great way to see some of the grounds is with an entertaining tour hosted by the Yeoman Warders who will frighten and dazzle you with tales of the Towers past. Another option is with a guided audio tour. This comprehensive tour will guide you through and the attractions, telling you stories and myths within the Tower walls and buildings. Don’t forget to check out the British Crown Jewels which you can see on display as part of the Royal Collection. These jewels are still used by the Monarchy today. In the centre of the tower is a lovely green space, perfect for a rest as you explore and also where you will find the famous resident ravens and gate keepers of the Tower. It is said “If the ravens leave the tower, the kingdom will fall………..”. 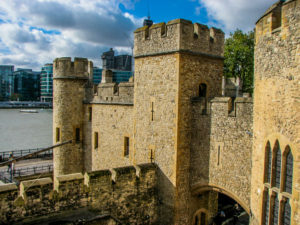 Tower of London VIP Early-Access Tour – visit the tower in peace on a tour before the general public. Tower of London Regular Entrance ticket – skip the queues with a pre-purchased ticket. The V&A Museum, as it is more commonly known, is the world’s largest museum of decorative arts and design, housing a permanent collection of over 4.5 million objects. Its collection spans 5,000 years from ancient times to the present day with pieces from the cultures of Europe, North America, Asia and North Africa. Items include ceramics, glass, textiles, costumes, silver, ironwork, jewellery, furniture, medieval objects, sculpture, prints, drawings and photographs. There is also a very pretty central garden where you will find museum visitors lazing in the sun in between taking in the exhibitions. Located in East London, Brick Lane is home to London’s Bangladeshi community and is most famous for its curry houses. If you like a good curry this is the best place to find it in London. Most nights of the week when you walk down Brick Lane you will be bombarded with restaurant staff out the front of their restaurants trying to get your attention and offer you a better value meal than the next restaurant. 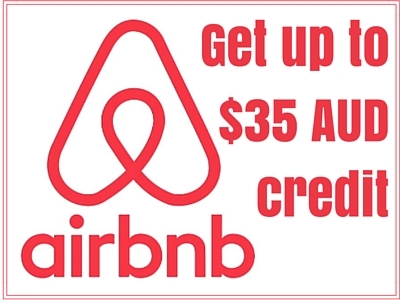 As you can imagine the prices can get very low especially for what you get. I once had a two course meal including naan bread and rice plus one alcoholic beverage for £8. The food was delicious and plentiful! Also in Brick Lane you will find the Brick Lane Markets on a Sunday as well as lots of street art, newly opened galleries and plenty of trendy new bars. Founded in 1834, a trip to London wouldn’t be complete without a quick stop at one of the world’s most famous department stores, Harrods. 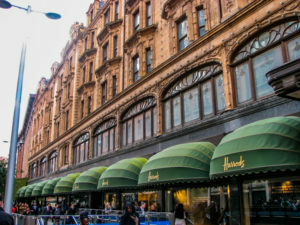 The store has over 90,000 m2 of selling space in over 330 departments making it the biggest department store in Europe. It is massive and I wouldn’t recommend trying to cover the whole store on your visit as the majority of the items for sale you probably can’t afford. It is however worth a quick look around some of the departments including the spectacular food hall selling delicious treats from all over the world as well as your typical British fare. There is also a large souvenir department where you can purchase the iconic Harrods carry bag. The first Routemaster bus service in London was in February 1956 and was well ahead of its time. The layout of this iconic vehicle was very traditional for the time, with a half-cab, front-mounted engine and open rear platform where you would find the conductor and enter the bus. Unfortunately the last Routemaster buses were withdrawn from regular service in December 2005. 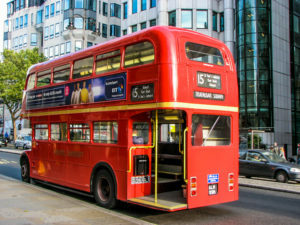 There is however still an opportunity to ride on one of these heritage buses on one route, line 15, still operated by the old Routemasters in central London. New modern reworks of the old Routemasters are also being rolled out across London. A great way to see any city built around water is from the water. And London is no exception. The Thames Clipper services run up and down the Thames between Putney and Royal Arsenal Woolwich piers with the most popular route being from the London Eye east to Greenwich. Riding on the Thames Clippers is a great way to do a bit of sightseeing or a different way to get from place to place especially if you are heading to Greenwich for the day. Along the way you pass all the major waterfront sights including Big Ben and The Houses of Parliament, The Tower of London, London Eye, The O2 and it passes under Tower Bridge. River Roamer sightseeing tickets are available also. Westminster to Greenwich River Thames Cruise – one-way ot reutn sightseeing cruise from the centre of London to interesting Greenwich. 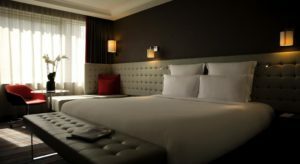 London by Night: River Thames Luxury River Cruise – enjoy a meal while taking in the sights of London at night. Sparkling 2-Hour River Thames Sunset Cruise – enjoy a drink as you take in the sights of London at the most beautiful time of the day. Afternoon Tea Cruise on the River Thames – enjoy a traditional English afternoon tea while taking in the sights of London. The London Showboat: Dinner, Show & Sightseeing Cruise – enjoy dinner and a show while taking in the sights of London. Speed Boat Tour of the River Thames – for those who want to see it all with a bit of adrenalin thrown in for fun. River Thames Hop-on Hop-off Sightseeing Cruise – enjoy the city from the water and hop on and off as you please for a day. Not a lot of people, especially visitors, know about the National Trail footpath running for 180 miles along the banks of the river Thames. 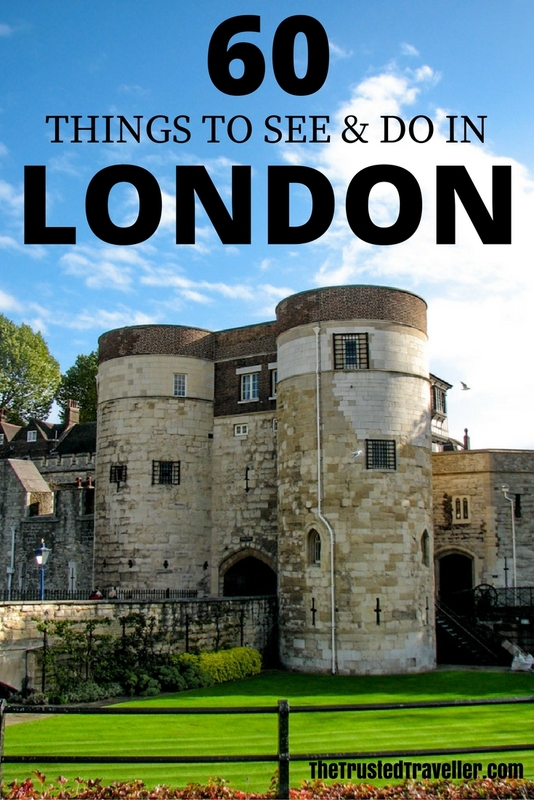 I discovered it while searching for free things to do in London while I was living there and spent lots of weekends taking long walks along the Thames. Starting at the Thames Flood Barrier at Woolwich in South East London, the path runs along the banks of the Thames to Kemble in Gloucestershire. 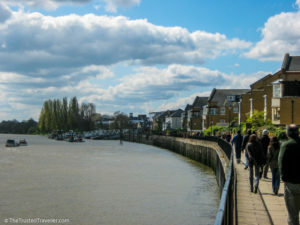 You obviously don’t need to walk the whole trail but why not head out to greater London for a few hours and walk along some of the lesser known parts of the Thames. I always found it to be a recharging, peaceful walk with beautiful scenery. Check out the National Trail website for detailed information on the walking routes. 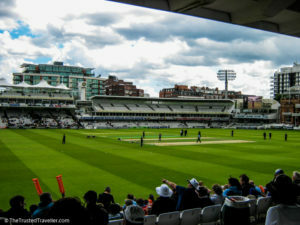 Lord’s is the home of Cricket in the UK and one of the most historic sporting venues in the world. Today Lord’s is not on its original site, being the third of three grounds that Thomas Lord established between 1787 and 1814. His first ground was where Dorset Square now stands, his second was used from 1811 to 1813 before being abandoned to make way for the construction of the Regent’s Canal and finally the present Lord’s ground is about 250 yards north-west of the second site. The ground can hold 28,000 spectators and is used for local county, T20 and international Cricket matches. The ground consists of a number of stands including the beautiful Members Pavilion and the unusually shaped commentary box. Tickets to big international matches such as The Ashes between England and Australia can be very expensive but county and T20 matches are much cheaper and a great day out for sports fans. Tours can also be taken of the grounds when matches are not taking place. Covent Garden is an area on the fringe of the West End popular for shopping, eating and most of all, the street performers that entertain large crowds of people everyday. The area is always buzzing with tourists and a few locals. The large building in the centre of the square is the former Covent Garden fruit and vegetable market now converted into trendy restaurants and bars and a shopping arcade. The surrounding area is again full of shops, restaurants and bars as well as many popular theaters and the Royal Opera House. It’s a great area to visit day and night and great place for a bit of people watching. 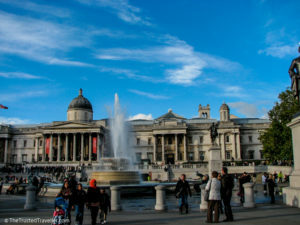 Always full of people, Trafalgar Square is a popular meeting place and hang out for tourists and locals and is know as a place for public gatherings, demonstrations and New Year’s celebrations. In the centre of the Square is Nelson’s Column which is guarded by four lion statues at its base. The name comes from the Battle of Trafalgar, a British naval victory of the Napoleonic Wars over France which took place 1805 off the coast of Cape Trafalgar near Cadiz in Spain. You will find the National Gallery at the top of the square and the entrance to The Mall at Admiralty Arch running from the south west corner of the square. Shakespeare’s Globe is a reconstruction of the Globe Theatre, an Elizabethan playhouse on the south bank of the Thames. The Globe Theatre was originally built in 1599, destroyed by fire in 1613, rebuilt in 1614, and then demolished in 1644. The reconstruction is based on available evidence of the 1599 and 1614 buildings and was founded by the actor and director Sam Wanamaker and built about 230 metres from the site of the original theatre. It opened in 1997 and is used to show various theatrical performances both remakes of the classics and modern plays as well as for educational purposes. Year round you can also take a tour of the venue and visit the museum dedicated to William Shakespeare. I haven’t personally visited the London Dungeon as I am way too easily frightened but I know people who have and they all loved it. Tickets to the London Dungeon sell out in advance Book yours now to avoid missing out. Madame Tussauds has been popping up all over the world these past few years but London is its original location. 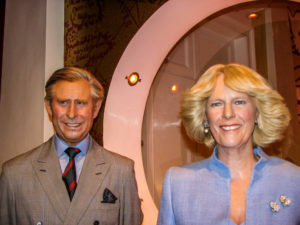 The museum displays waxworks of historical and royal figures, film stars, sports stars and infamous murderers with new sculptures being added all the time. The fun idea of this place is for you to get up close with the famous people. Take photos of yourself in funny poses with people like The Queen and all your other favourite Royals, world leaders like Nelson Mandela and Barrack Obama, singers like Beyonce and Michael Jackson, sports stars from all around the world and actors such as Johnny Depp and my personal favourite George Clooney. It’s a lot of fun and very cheesy! Visiting a few Merlin attractions while in London? You can save big money with the Merlin Magical London Pass. 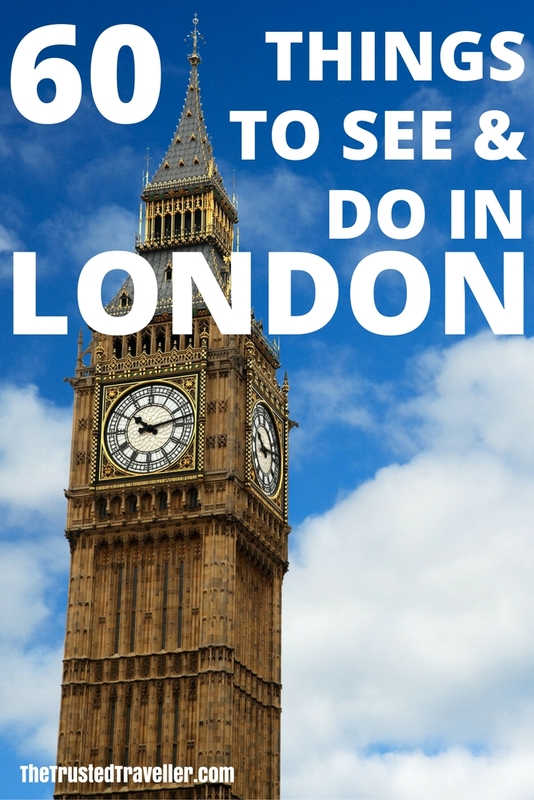 It includes entry to Madame Tussauds, Shrek’s Adventure, Sea Life London Aquarium and the London Eye. Every Sunday on the corner of Hyde Park at Marble Arch you will find Speakers Corner where open-air public speaking, debate and discussion are allowed. Speakers get up on old milk crates and may talk on any subject, as long as the police consider their speeches lawful. Small crowds form around the speaks and of course where there is free speech there is strong debate. After a few visits myself I noticed mostly people talking about their various religious beliefs, political issues both in the UK and abroad and a few odd conversations about the supernatural. It’s interesting even just for a quick walk by on your way into Hyde Park. 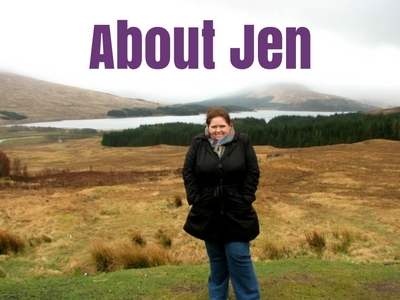 Hi Jen, you had great moments in London…its a long post covering all amazing places in and around London..thanks for sharing such great info…. Thanks Shiv! It’s a wonderful city, really easy to write about. Thanks Reem. 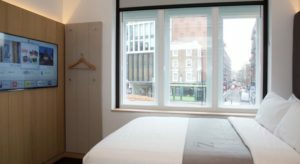 So glad to help you plan your travel in London.